This is the temple of A Ma who is the patron of fisherman. There are big ceremonies here 4 time a year. 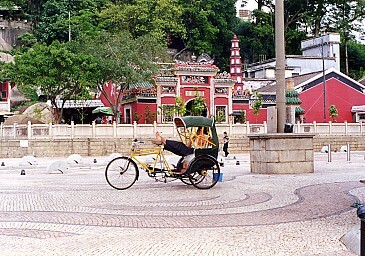 The bicycle in the foreground is the closest thing to a rickshaw that we saw the whole time. 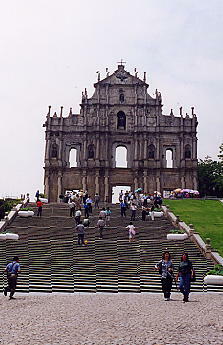 This facade is all that remains of a church above the main square in old Macao. 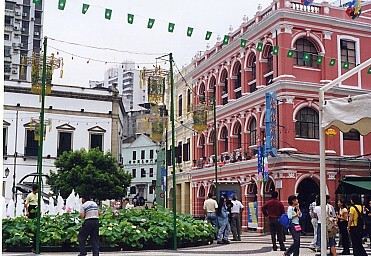 This is the main square in old Macao. Note the pastel colored buildings and the lotus flowers around the fountain in the front. 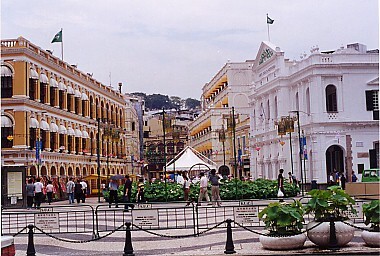 Another picture of the square.